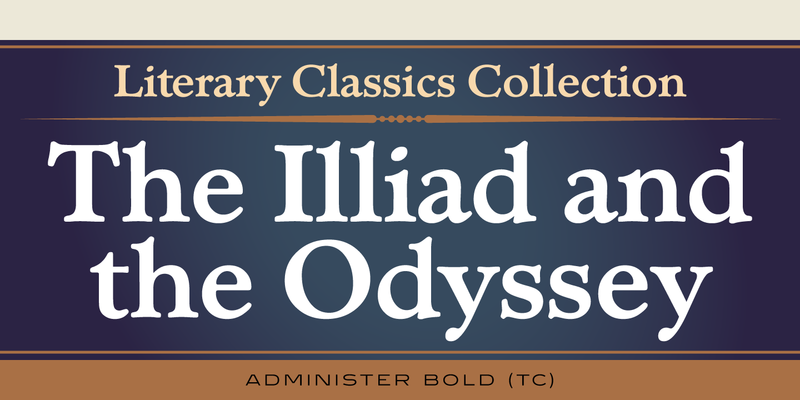 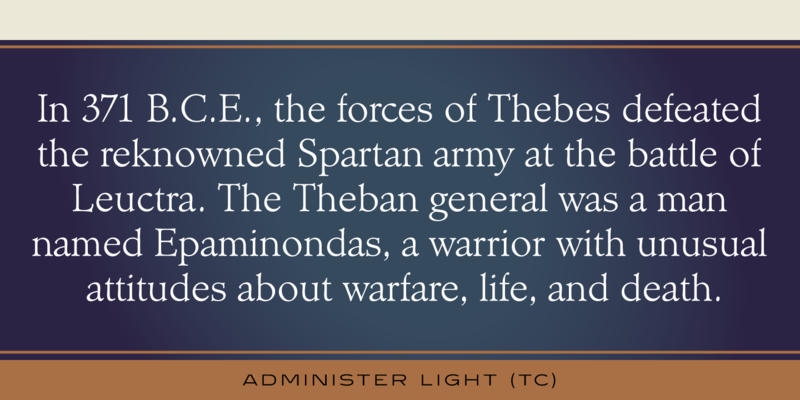 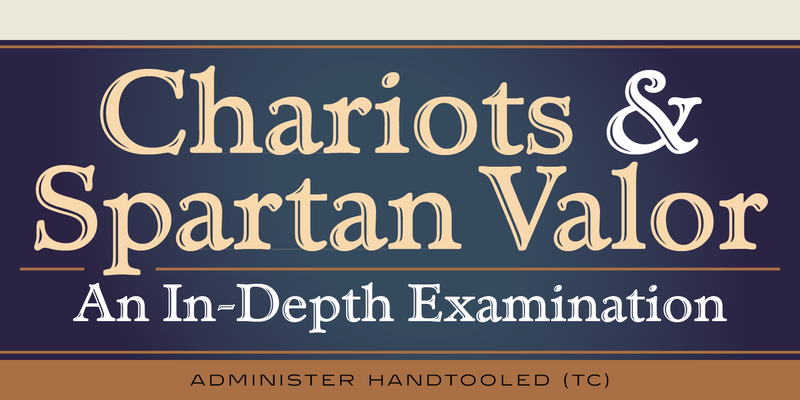 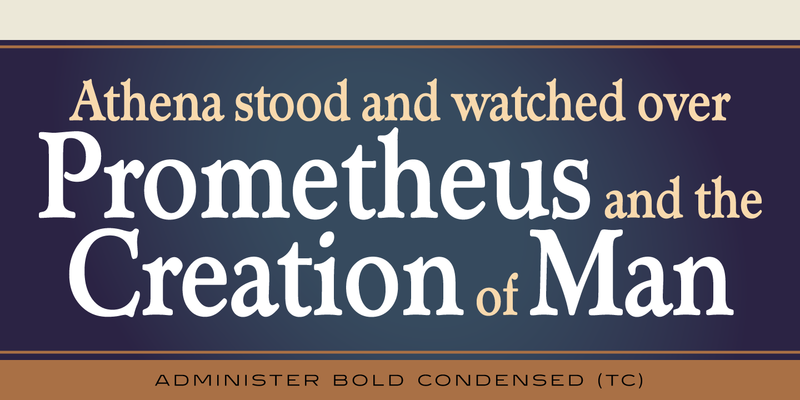 Administer TC is a Roman/Venetian-style serif font family with wide capitals. 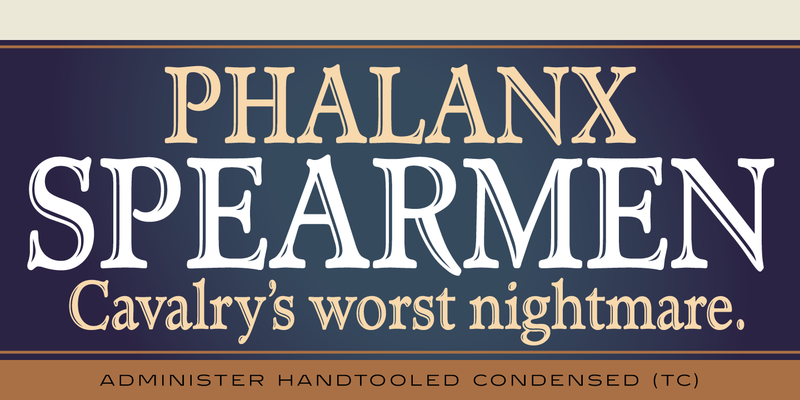 It was inspired by a typeface called ‘Minister,’ which was designed by M. Fahrenwaldt for Schriftguss, circa 1929. 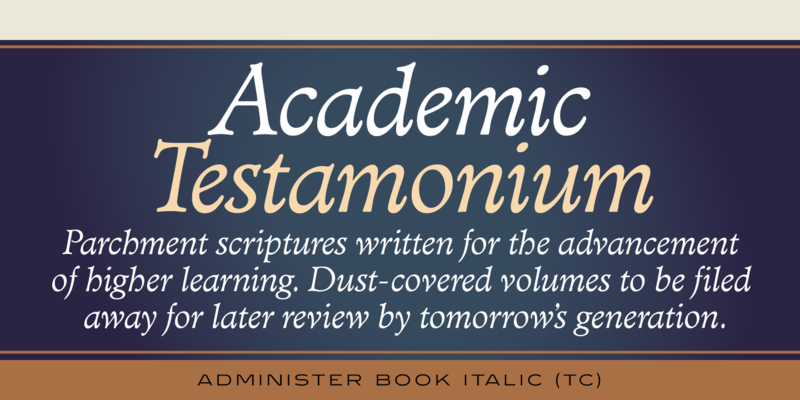 Les Usherwood (Typsettra) created Administer in the early 1980’s, and Steve Jackaman (ITF) refined the family for its digital release in 1994. 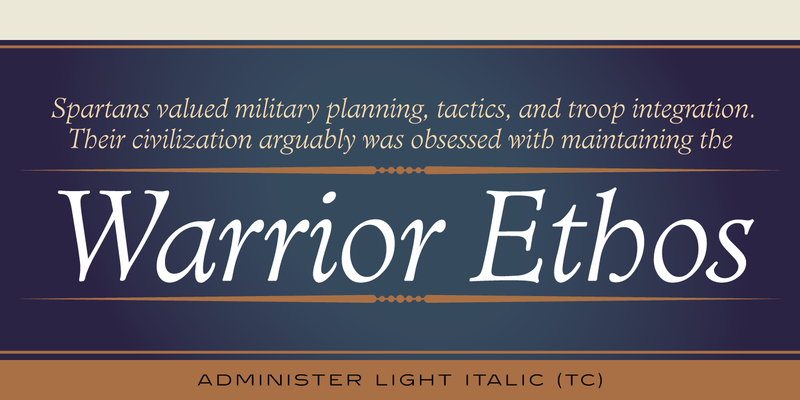 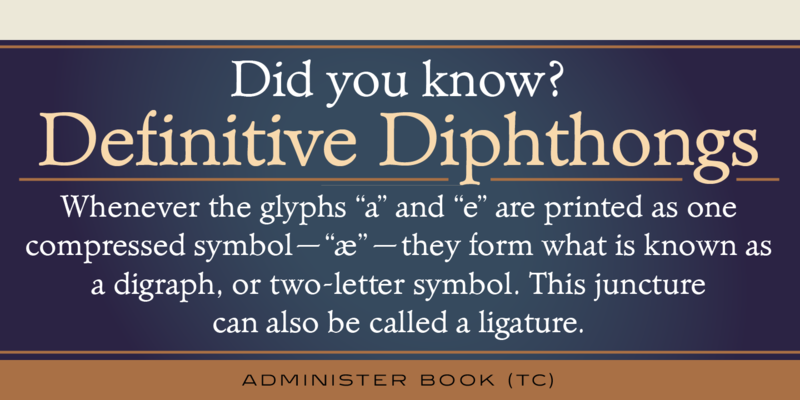 The Light, Book, and italic weights of Administer are distinct at paragraph size, and the heavier and hand-tooled weights showcase the family’s authoritative feel in display size. 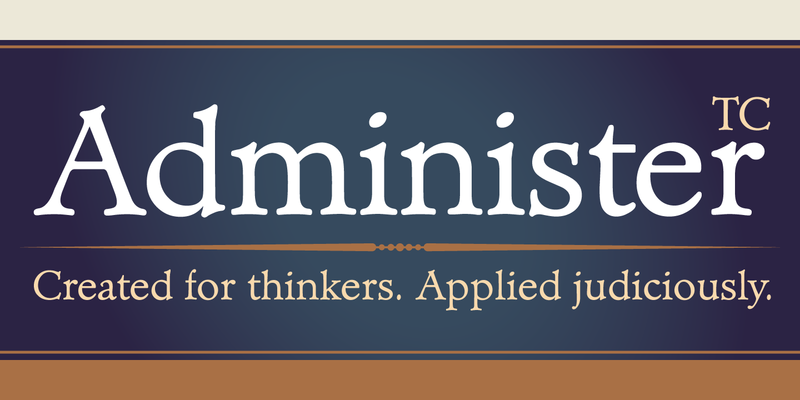 Administer [TC] is a trademark of International TypeFounders, Inc.